The TCPA provides for damages equal to the greater of actual monetary loss or $500 for each violation of the statute. Moreover, if a defendant willfully or knowingly violated the law, damages are trebled to $1500 per violation. 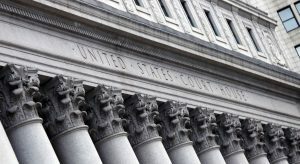 Courts have determined that the “willful or knowing” standard requires a defendant’s actions to be intentional, but not to require that the defendant was actually aware it was violating a statute. If you have received unwanted phone calls or text messages, or have received automated calls or messages before being disclosed that you would, contact us today for an evaluation of your case.